Here are the best home fitness products that will take you to the next level. Be better, faster and stronger than you have ever been. Your friends and family will ask what you did to look so good. Your doctor will not be so happy as you never come by or visit anymore. Oh well, you’re going to be so happy that you are building the body of your dreams. Non-impact equipment is very important because you don’t want to wear out your tendons, ligaments and joints. What you want is to strengthen the muscles that support healthy joints and increase circulation. Nautilus has a unique reputation based upon proper joint friendly angles that strengthen muscles and support the joint socket. Jack LaLanne had been influencing them for a long time on this. Fortunately for us they have it down to a science now. A recumbent bike that has comfortable back support is the best step to easily increasing your healthy lifestyle and enjoying your workout while you watch your favorite show, or listen to your own music! No musak here! Click on the Nautilus Recumbent Bike below and discover a new world of possibilities and all the benefits that being fit and attractive open up to you. This full body movement trainer adds recommended weight bearing component to cardio program, and allows you to improve your heart rate, burn excess calories and increase your overall health profile dramatically! It is no impact so you build strength and stability while building your knee stabilizer and support muscles. This is one of the best long-term solutions in getting into the best shape of your life (and you’ll feel so good afterwards, that you’ll go out and enjoy the results). Just click on the Nautilus Elliptical Trainer and move away from pain and weakness into strength and happiness (exercise produces natural feel-good hormones and elevates your mood) and freedom! I highly recommend getting either this recumbent bike (they provide the very necessary back support over upright bikes) or the elliptical cross trainer. They both provide a non-impact (this is so important because you don’t want to grind away your joints, only build strength and endurance) exercise that will lubricate your joints, provide pain relief and actually strengthen your muscles taking the stress off of your tendons, ligaments and joints. They are both very comfortable and supporting of your body as you workout. 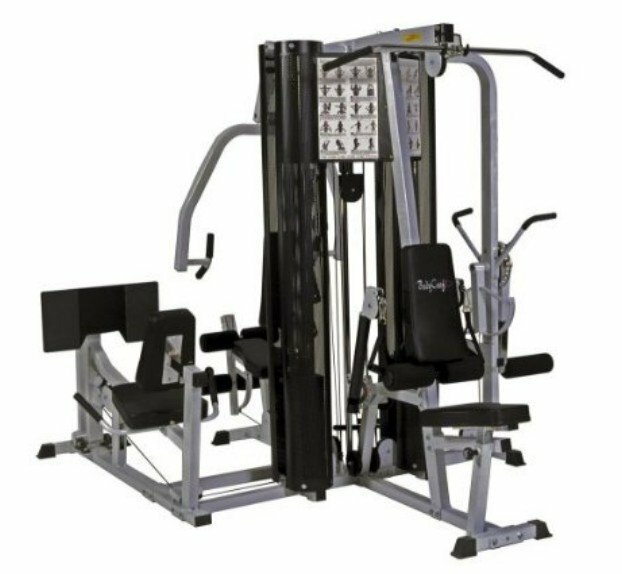 I recommend that you get the ultra comfortable and very well built BodyCraft X4 home training gym. It has everything you (or any family member) will ever need! It has an attached exercise guide showing you the proper form to use. It also has the necessary cushioned guides for shoulder, rotator cuff and wrist strengthening exercises. It also has a built in leg press for non-impact hip and knee strengthening as well. This is the all in one that you’ll never outgrow, it will grow with you as you leave pain and weakness behind. Just click on the BodyCraft Home Gym Below and set yourself up for success beyond arthritis! All these models provide easy yet smooth resistance and will give you a total body workout that will strengthen your bones, tendons, ligaments and joints. As we workout our bodies lose precious calcium, magnesium and silica, which leads to increased risk of fracture and arthritis. By using these joint friendly exercises you build your muscles without tearing up your joints. You are building an eternally fit and gorgeous body, that is both show and go. Yeah, The Total Gym XLS, this is the one Chuck Norris personally uses. He doesn’t have the time with his busy schedule to have long workout sessions anymore. He is still hard as a rock because he does get a full body workout in about 20 minutes. They even have an ab crunch set for the Total Gym! This is the easiest to use at home or on the go, as it will easily fit under your bed, hung on a wall or even in the back of your vehicle. Try it for yourself, I think they give you a 1 cent trial, if it doesn’t get you ripped, send it back. I think it will be one of the best investments in you, that you make.